It was time to capture the energy of Prime Time’s live performances! “Live at the Ironwood” is just that – a special live album that showcases the energy of the band. Live recordings of big bands in the modern day are so rare, and this album certainly stands out as unique. Tracked live over 3 days in November 2016, these arrangements had never been recorded before. The pieces are purposefully all Canadian compositions or arrangements commissioned specifically for the sounds and strengths of Prime Time. 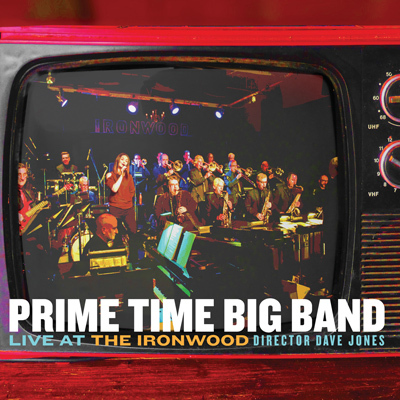 Put on your dancing shoes, turn the music up, and enjoy the latest album from Western Canada’s longest standing big band – Prime Time!